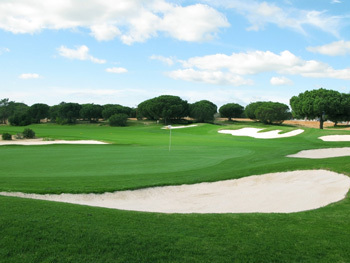 CourseTrends is a golf facility that lies on 316 acres of scenic hill country in Austin, Texas. The course gives the golfer a feeling that is not found anywhere else in the country. One million cubic yards of dirt were moved in to create the look of rolling hills, and 13 bridges were added to cross over a creek that winds throughout the golf course. Strategically placed rock outcroppings add to the beauty of the course. For the golfer who has to work late, we are equipped with a lit driving range where you can sharpen your skills or take a lesson from one of our P.G.A. Golf Professionals. CourseTrends has an eager staff that is committed to providing you with customer service that will make your golf visit memorable.